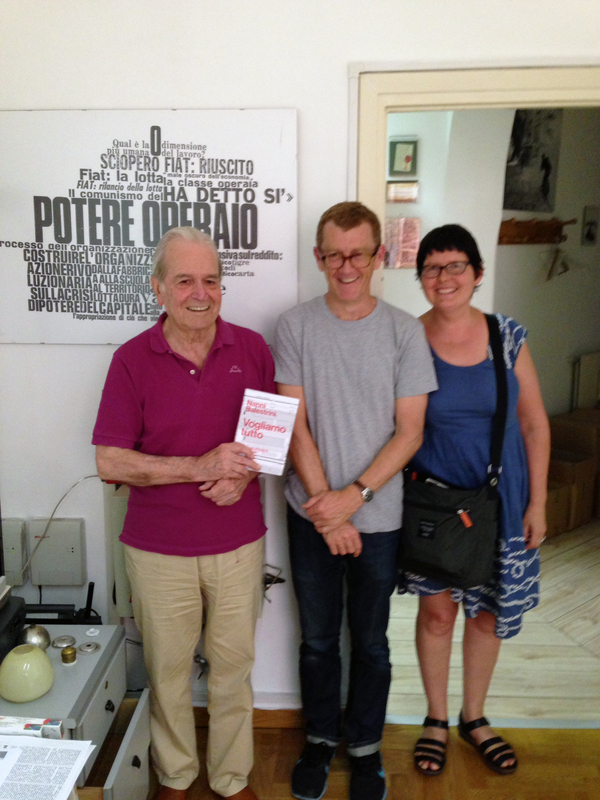 We met Nanni Balestrini in Rome at the office of his publisher, Derive Approdi … and handed over advance copies of our edition of Vogliamo Tutto. This is the first English edition of the novel, which was published in Italian in 1971. On the wall behind: Balestrini’s graphic work Potere Operaio, which is reproduced in the book.